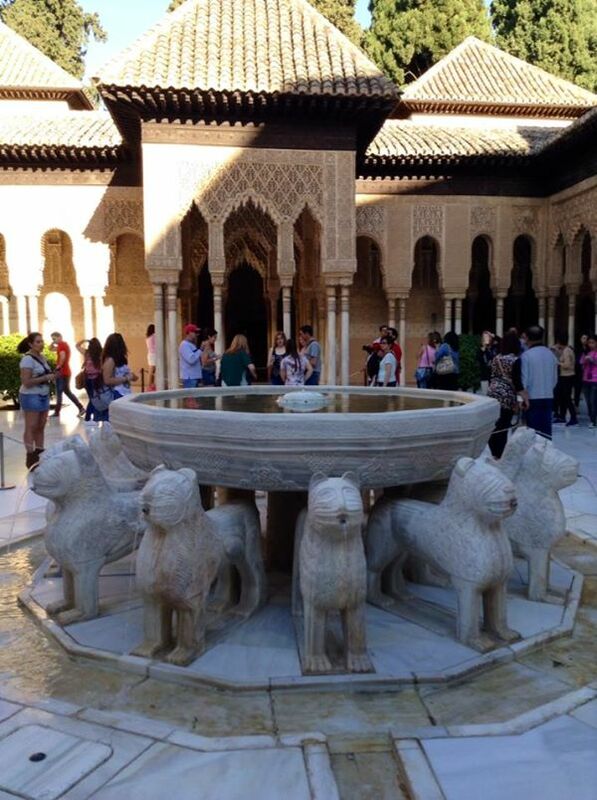 A couple of weeks ago I finally got the opportunity to visit the iconic Alhambra in Granada. As a student of Spanish and Arabic, the red fortress truly encompasses both areas of my degree programme- which meant I was very excited to go and see it, in the most nerdy way possible! Despite all its fame and its UNESCO status, I’m frequently asked the question: what is the Alhambra? The Alhambra began as a fortress back in the 9th century, named for its reddish walls (in Arabic لْحَمْرَاء from «qa’lat al-Hamra’» or Red Fortress) and was later expanded to include the Nasrid palaces for the Moorish rulers; religious buildings; living quarters complete with homes, shops and bathhouse; a complicated irrigation system; and of course the stunning gardens of the Generalife. 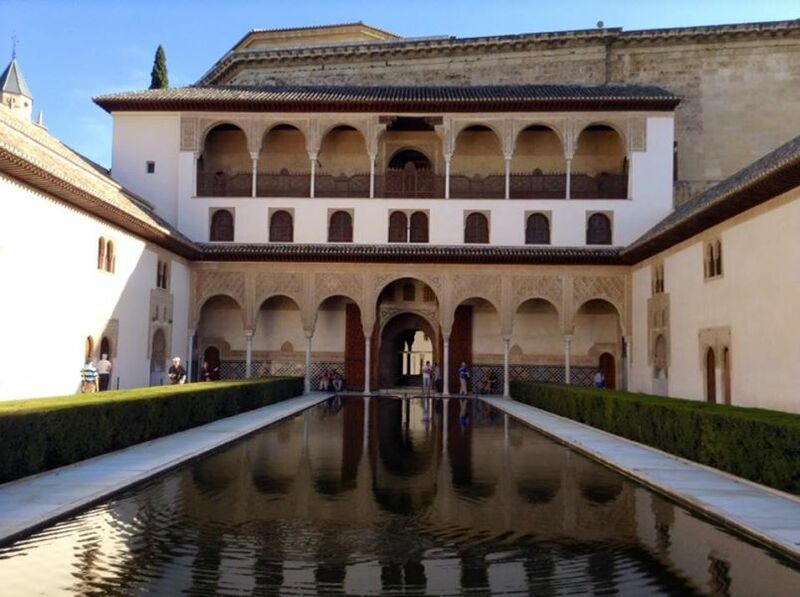 In fact, the Alhambra was actually a palatine city, separate from Granada. 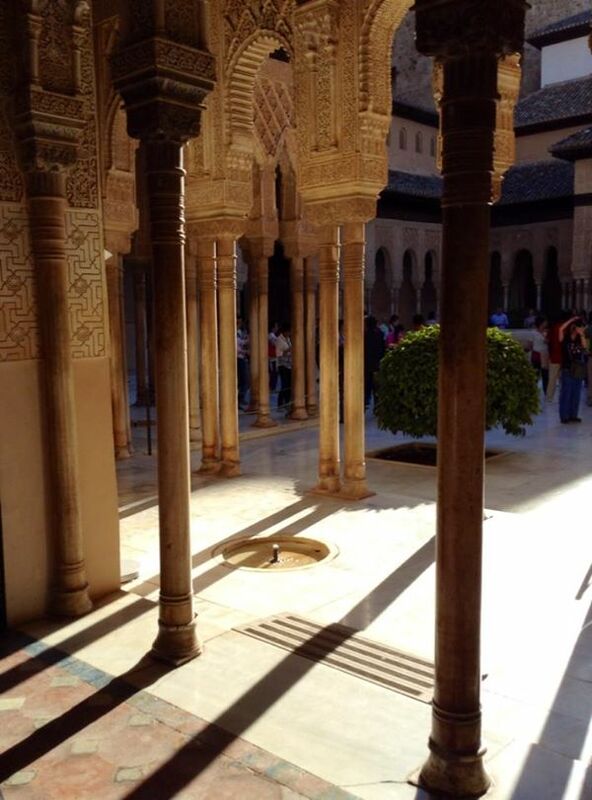 First things first: getting tickets to go to the Alhambra can be difficult, especially around the busy summer period. Make sure you plan in advance! You can get tickets from the Alhambra Librería shops around the city, some la Caixca cash machines, online and also at the box office at the site itself. If you don’t manage to get them in advance you can also climb the hill early on in the morning and queue to get tickets later for the day. And believe me- it’s worth it! Entry is €14. Another top tip is to make sure you get a map! It sounds obvious, but me and my friend managed to walk straight past them and almost missed our time slot to go and see the Nasrid palaces! Luckily, after much frantic running around and accidental breaking into different gardens, one of the tour guides led us to the queue. 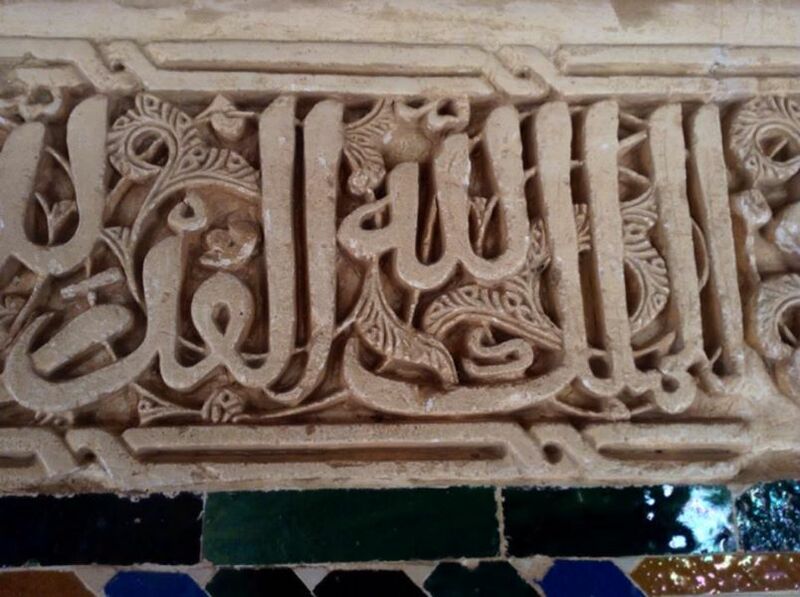 The Generalife (جَنَّة الْعَرِيف‎ Jannat al-‘Arīf, “Architect’s Garden”) are the garden of the Alhambra. It includes numerous pools, fountains, flowerbeds and beautifully designed architectural structures and arches looking over the most beautiful “barrio”, the Albayzín (coincidently also the area I live in!). You really could spend hours trying to soak up how perfectly imagined these gardens were and trying to capture this on camera- but photos really don’t do it justice. Although I feel slightly bitter about the addition of buildings which completely juxtapose the Arabic style of the buildings, I can admit (begrudgingly) that the Palace of Carlos V is stunning. 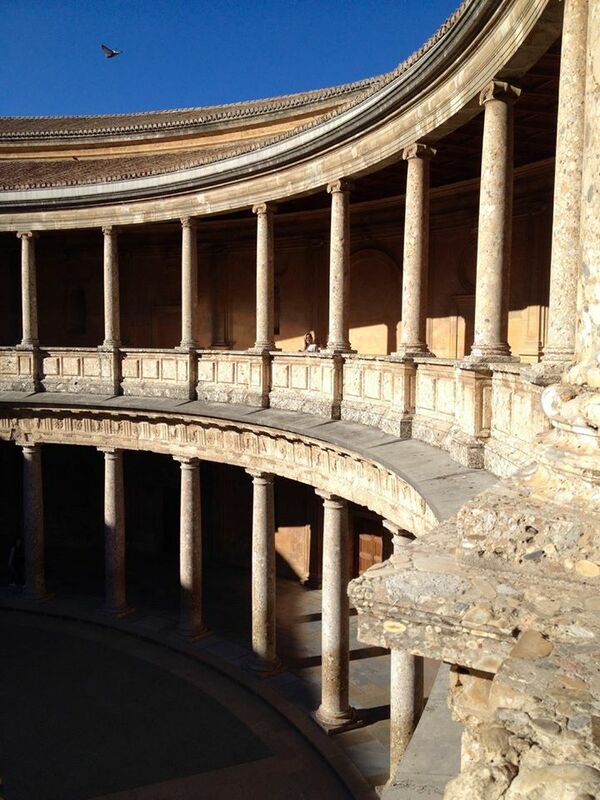 The enormous circular patio in the centre of the palace is breathtaking to behold. 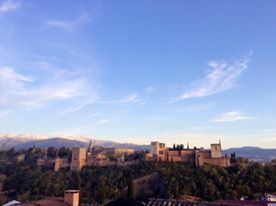 The Alcazaba is one of the oldest parts of the Alhambra and from the Torre de la Vela (watchtower) there are stunning views over Granada. 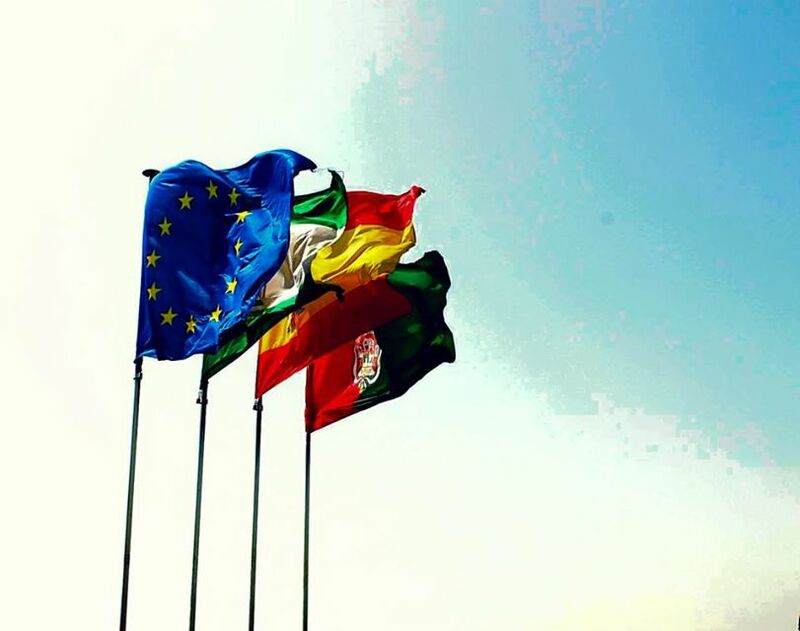 It’s also the perfect place for a group picture, beneath the fluttering flags! One of my favourite things about living in Granada, and especially the Albayzín is that the Alhambra appears to be omnipresent. You can’t turn a corner in the twisting cobbled streets near my house without sneaking a peek of the beautiful reddish walls and feeling so lucky that you live in such a stunning city. After seeing it from inside just once, I’m hooked and already planning my next visit!